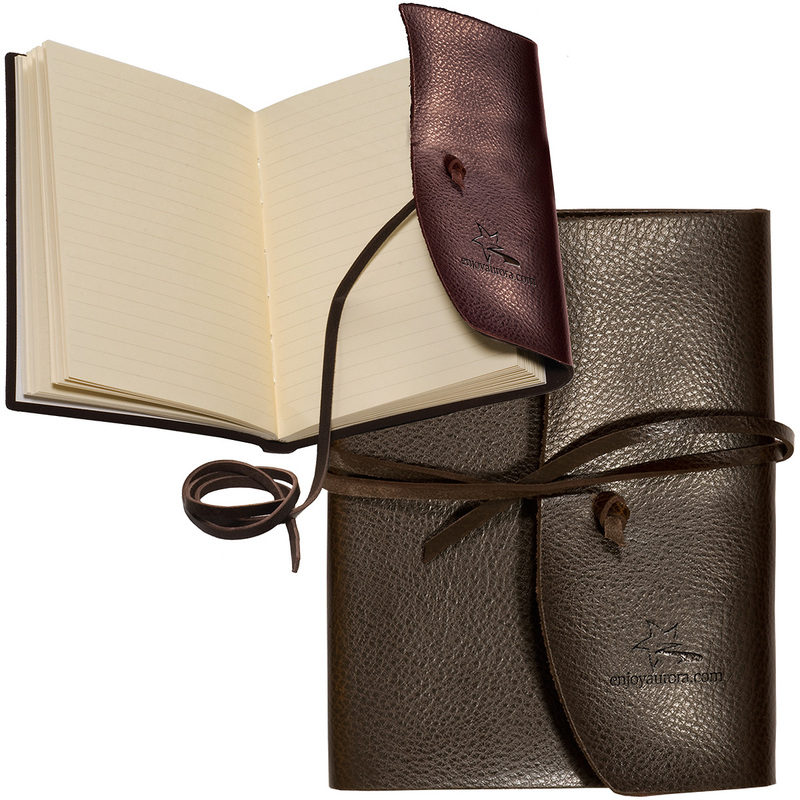 Give the gift of the written word this holiday season with the 2-piece writing gift set. This set includes a beautiful 5 in. x 8-1/2 in. wood-toned journal and a bamboo ballpoint pen. 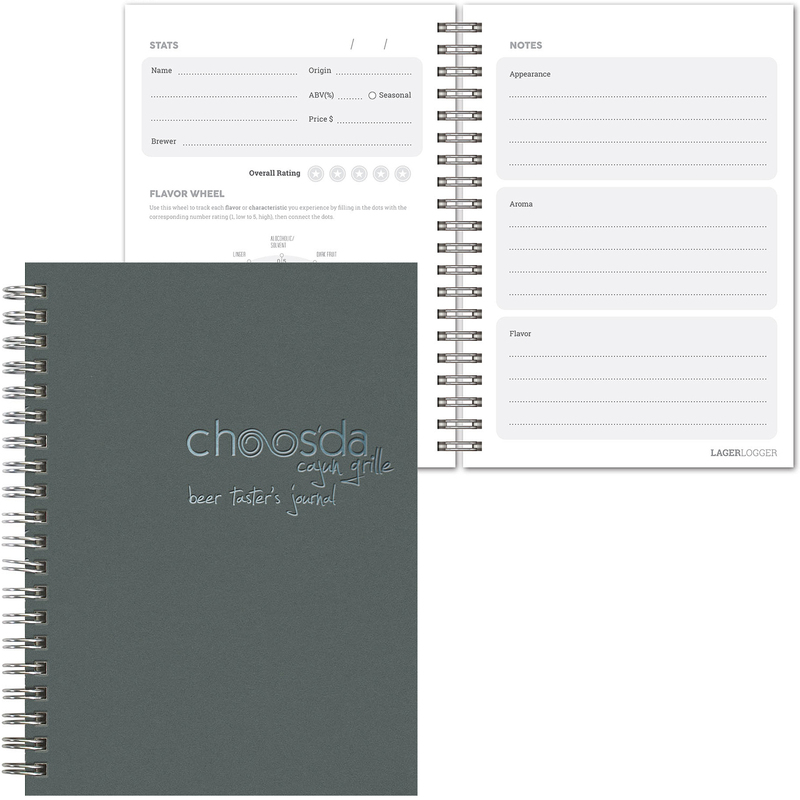 The hardcover non-refillable journal has 160 perforated lined pages inside, while the exterior smooth coated cover will add an extra soft touch to your logo. The bamboo and metal push action pen comes with plastic trim that is 45% biodegradable. Add some flair to your next conference! The Small Bohemian has smooth Faux Leather hard covers with a paper pocket on the inside back, matching satin ribbon bookmark, elastic privacy closure, and thread-sewn binding. 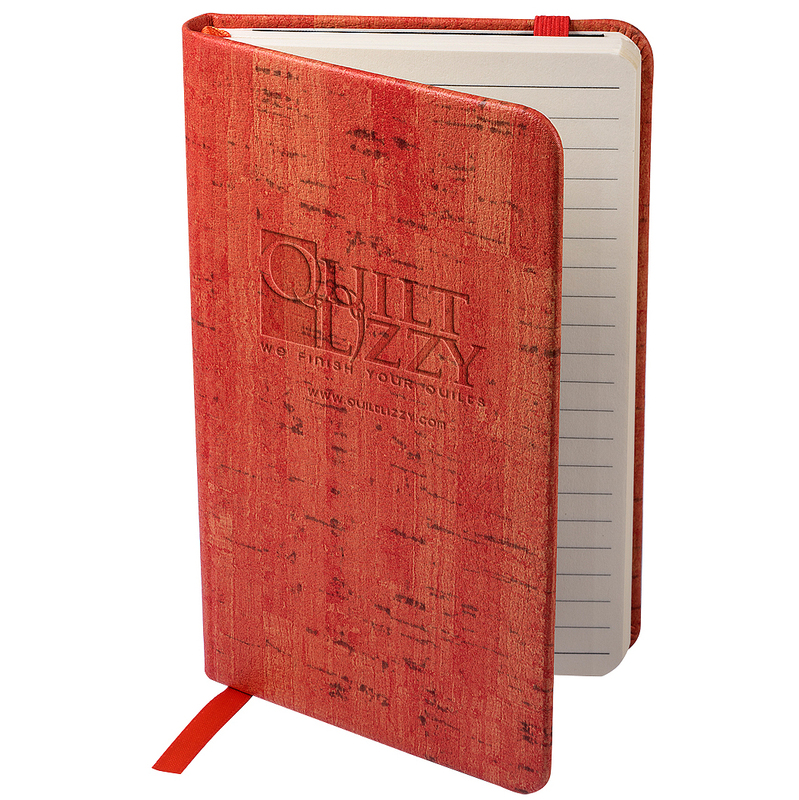 Filled with 80 sheets of wood-free lined paper, the debossed imprint and full color custom tip-in is sure to make this JournalBook item a hit. 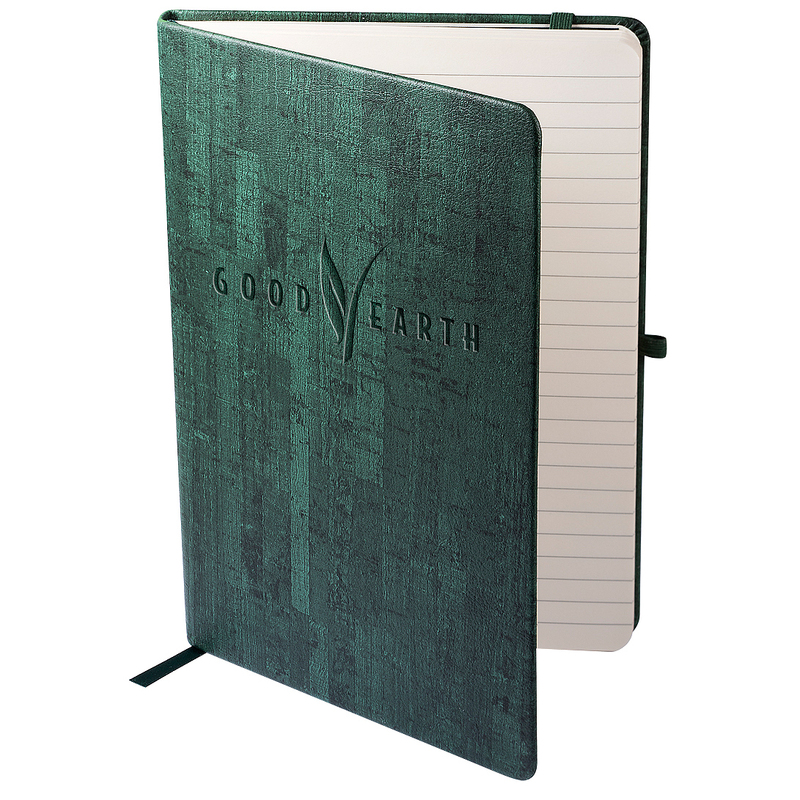 This 5 x 7 two toned leatherette journal holds 80 lined pages and makes a great gift. 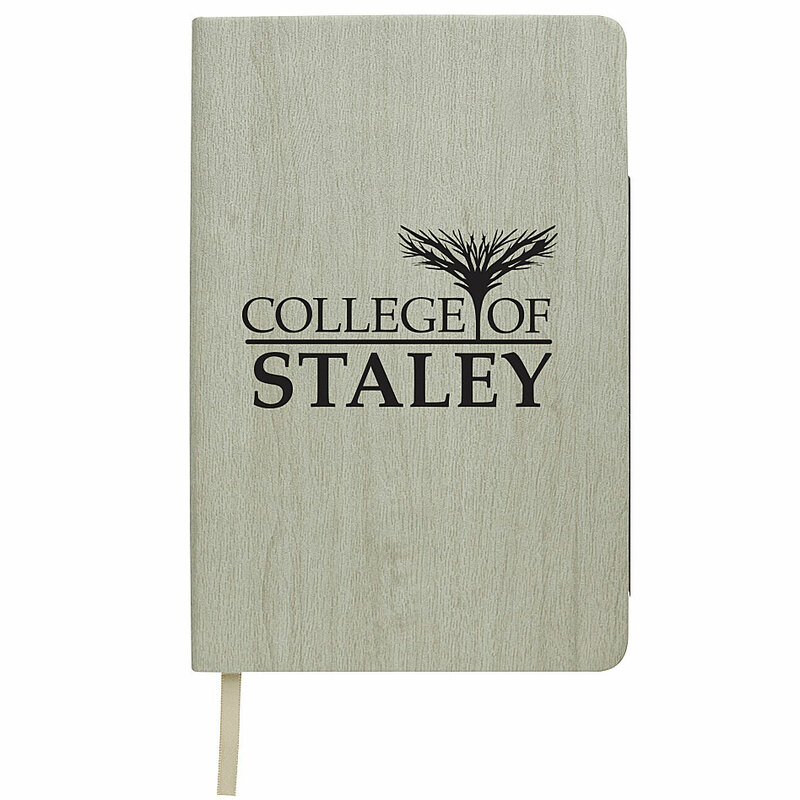 With a polyurethane cover this journal has a smooth matte finish and includes a black bookmark and elastic band. 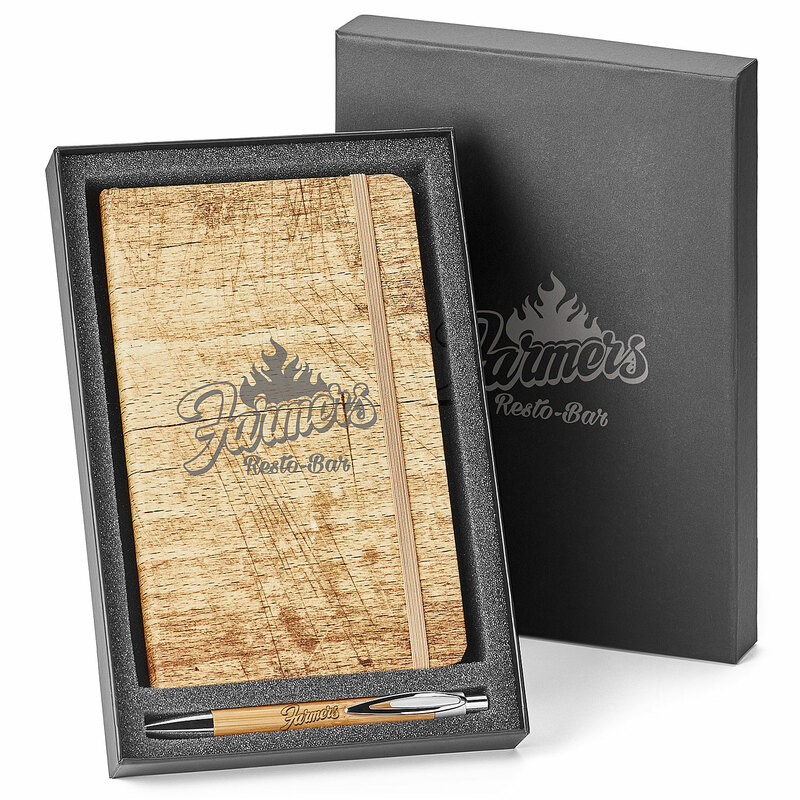 A great gift for writing enthusiasts this 80 page unlined notebook features a woodgrain look. The notebook comes with a matching pen loop and bookmark. A great addition to a welcome kit for your next conference! 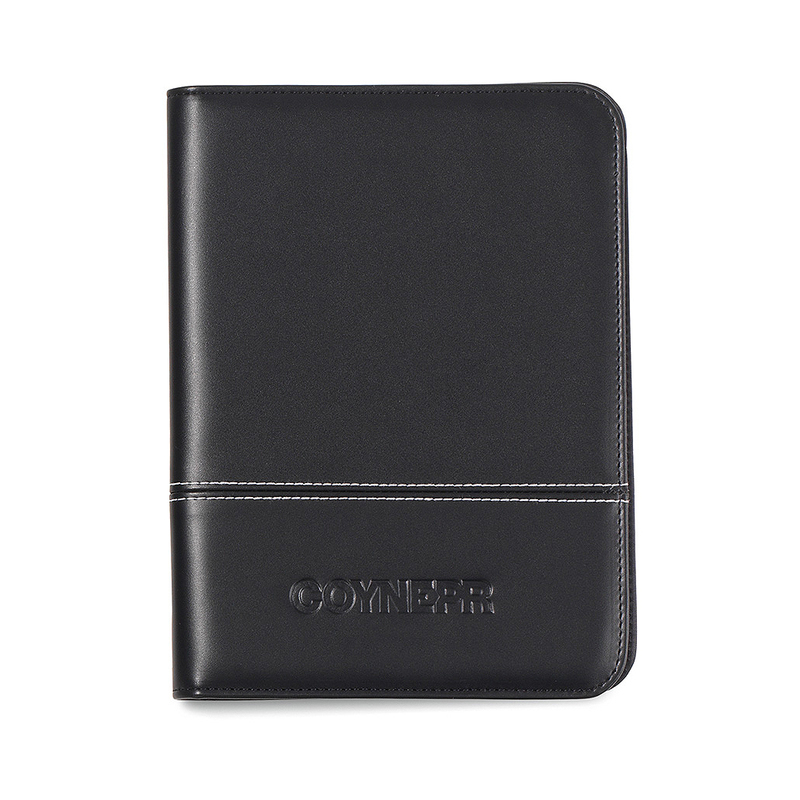 The Adler Junior Writing Pad is made of Simulated Leather and offers a slim profile with sleek, modern design. The interior features multiple pockets for organization, a mesh pocket ideal for storing a smartphone (fits up to iPhone 6) and a pen or stylus loop. Comes with 5 in. x 8 in.paper pad. 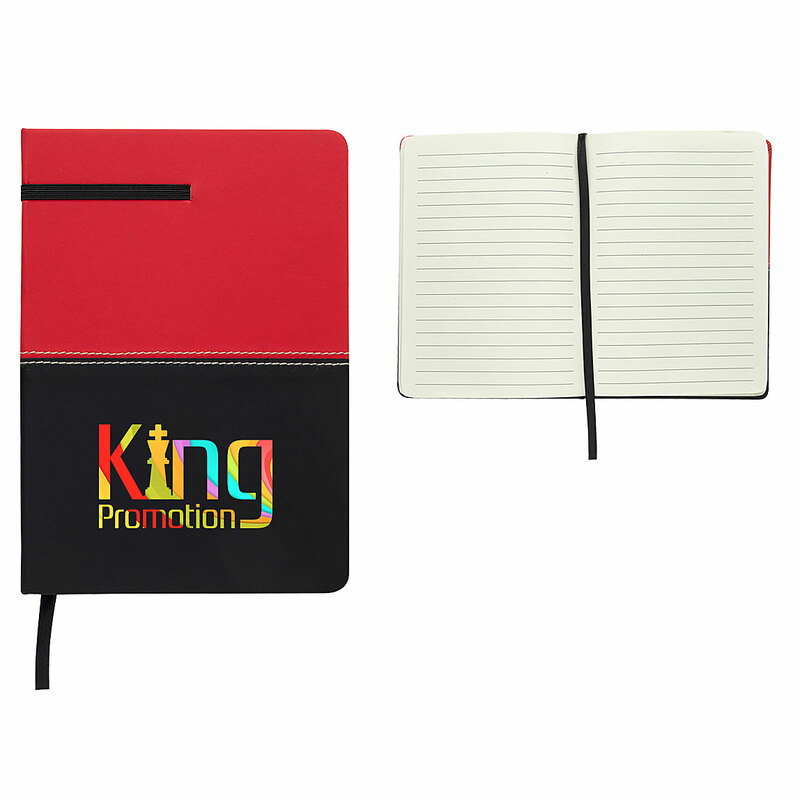 This elegant design will take your promotion to the next level! The Americana has a full-grain Leather wrap with Leather wrap/tie closure. Includes 70 lined journal pages. A perfect giveaway for sports enthusiasts of all ages! 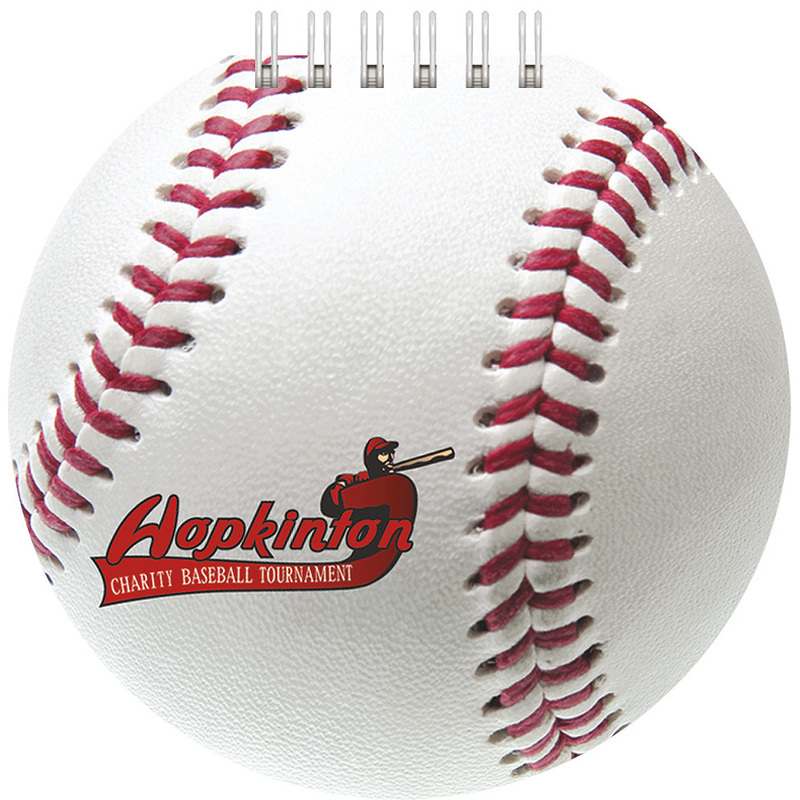 The Baseball Sports Pad comes with 60 sheets of blank filler that can be used as an autograph book for your favourite players' signatures, a record to track team stats, or a pocket-size memo book for notes on the go. The perfect gift to take your image to new heights at a great price! 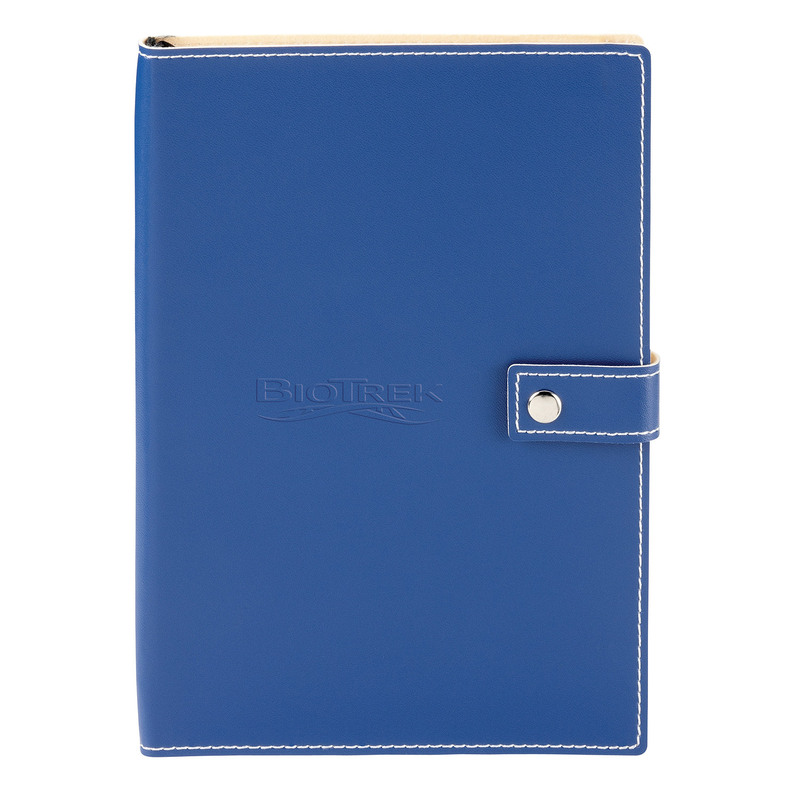 This vinyl non-refillable journal comes with 160 ivory lined sheets features white stitching, snap closure and a ribbon bookmark (blue and black books have black ribbons and red book has a burgundy ribbon). Wow, what a deal this is! This combo includes a vinyl journal cover, a refillable notebook with 160 ivory lined sheets and black ribbon marker along with a push action ballpoint plastic pen. Perfect for training sessions, meetings and conventions. The simulated cork textured cover of this journal has a natural weathered look! The journal includes 80 ivory ruled pages, elastic loop closure, and bookmark. 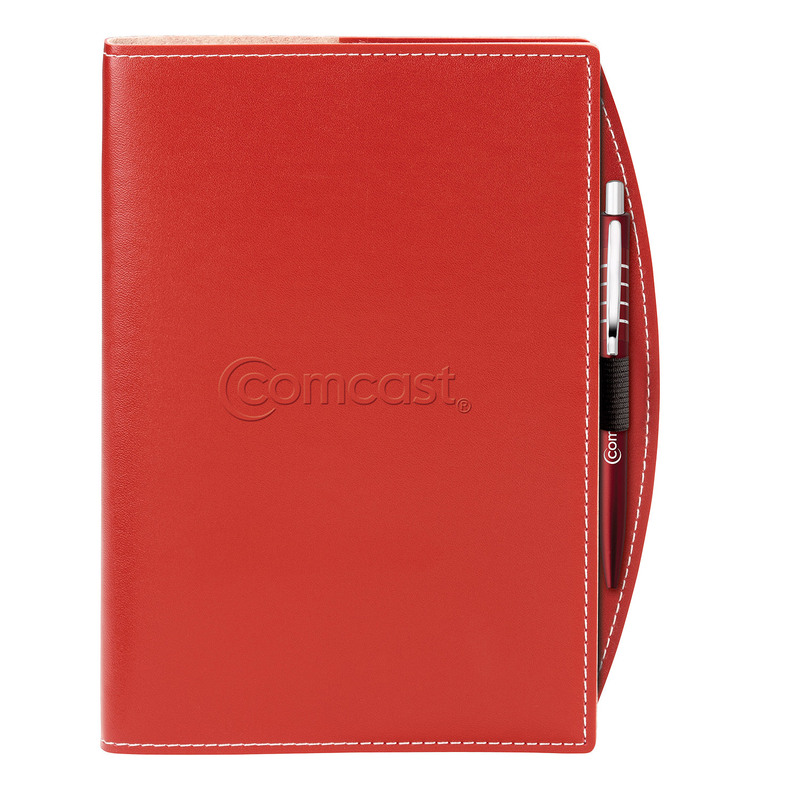 A great gift idea to your conference attendees, it also features a document pocket on the inside back cover. The CasablancaÂ has a cork-style finish that gives a natural weathered look! This Italian PU mini journal features a document pocket and pen loop, and includes ivory ruled pages with bookmark and elastic closure. This lager logger is a great promotion for breweries! The journal features a full colour, double sided insert explaining beer colour variations, and two double-sided, 1 colour inserts with even more beer tasting information for enthusiasts and connoisseurs alike. 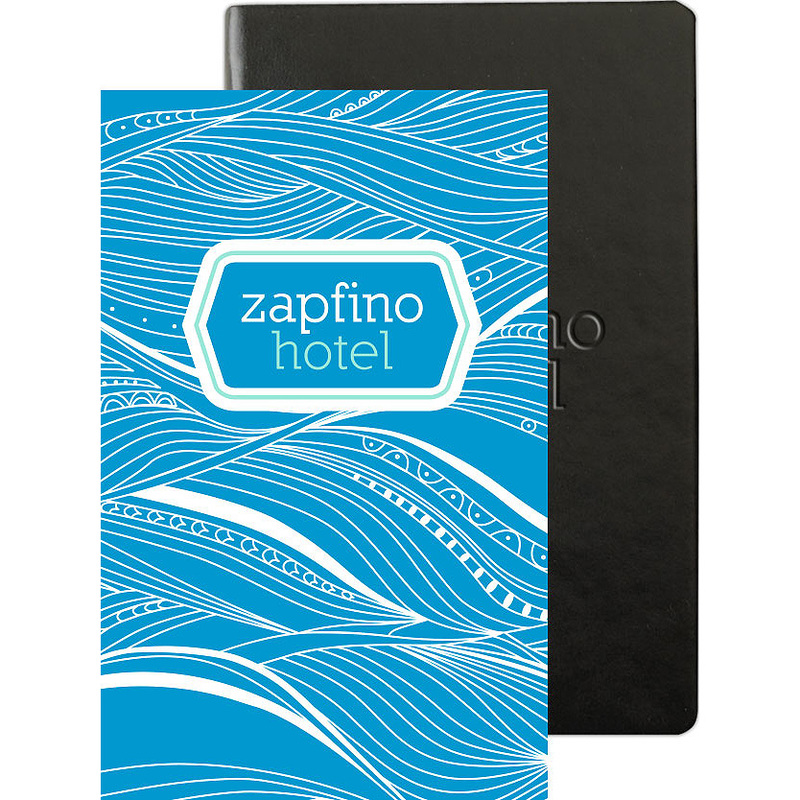 Includes 50 sheets of beer-scoring filler, black wire binding, and either a poly or paperboard front and back covers in a variety of colours.